4. Train Your Players to Be Able to Play Fast. It is MUCH easier to play slow than to play fast. Once they can perform a skill, practice playing fast. The www.soccerhelp.com drills are Practice Games that teach players to play fast. 5. Be Realistic in Your Expectations for Yourself, Your Players, and Your Team. Unrealistic goals can be counterproductive. Don’t just judge your Team’s success by Wins and Losses – that can be misleading. Realistically evaluate your team and compare your team to the competition based on the quality of the athletes. If an opponent has better athletes, they are supposed to win – if your team beats a team with better athletes, then you have done a better job of training and motivating your team. You can’t make a slow player fast or a small player big, BUT you can motivate your players to hustle, give 100%, be Brave, practice, improve, and play as a team, and that will make a difference. 6. Motivate your Players to Play as a Team and to Care About the Team. It will be a lot more fun and you will get better results. 7. Teach Your Players to Do Their Job and to Trust Teammates to Do Their Jobs. 8. Motivate Your Players to Never Give Up. 9. Set Achievable Goals and Strive for Improvement at Every Practice and Every Game. Motivate your players to come to practice, set achievable goals for each player’s improvement, and praise and reward each player’s improvement. Keep track of each player’s improvement in skills, hustle, and teamwork. Gradual, ongoing improvement builds confidence and is the key to success. 10. Motivate Your Players to Hustle and Give 100% Effort in Games AND Practices. It makes a HUGE difference if players hustle and give 100%. Train your players to practice and play that way – they will play as they practice. You CAN motivate this. Yelling and threatening is NOT the best approach – a more effective approach is Positive Reinforcement that combines Goals, Incentives, Praise, Rewards, and Positive Peer Pressure. Tell your players the specific things you want them to do (such as hustle) – don’t just say “Win” or “Score” or “Defense” – that is too broad – think about the specific things they need to do to be successful, such as practice, hustle and basic skills. Praise them immediately when they do the things you want and give rewards in a Ceremony in front of the entire team – that way all the players can see what they can do to EARN a reward. 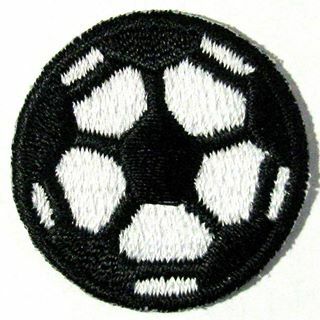 There are lots of ideas about this and tips from coaches on SoccerHelp, and we sell the small iron-on soccer ball patches that coaches use as motivational incentives and rewards. For No Lines Drills and 400 pages of free soccer coaching tips visit www.soccerhelp.com.